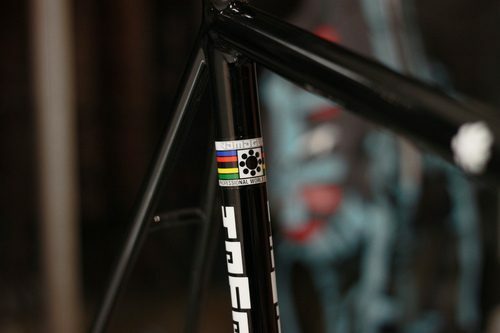 Taking photos of beautiful bikes is one thing, but to take a photo of a frameset is a whole ‘nother treat. It’s like a choose your own adventure book. Cinelli stem with Mavic pursuit bars? Cinelli 2a with Criterium bars? 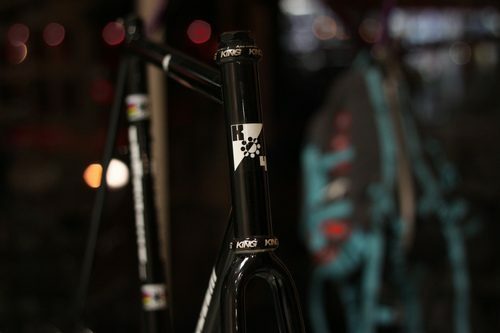 Nitto stem with B123s? So many options for the cockpit alone. 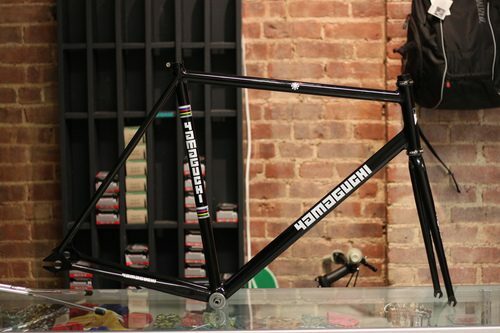 There’s this gorgeous Yamaguchi sitting in Affinity on consignment right now. Not too sure of the back-story, or the price, but it’s one mean beast! How would you built it up? One of the nicer modern-day logos for sure. That King headset needs to be re-installed and aligned properly or you’ll get flats. Heh! 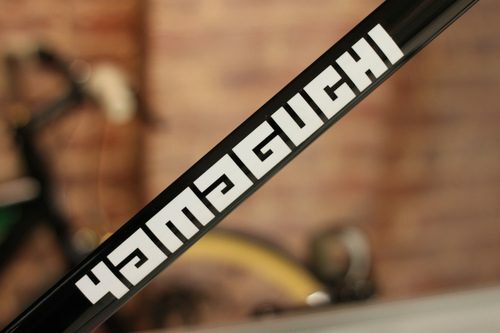 That’s a really nice Yamaguchi. Granted, it’s not as crazy as some of his other bikes, but still, a very tasteful bike. Can’t go wrong with black paint. There are a few more photos here on my Flickr.